My BMW i3 Owner's Map Made the Offical BMWBLOG! Well, this is cool . 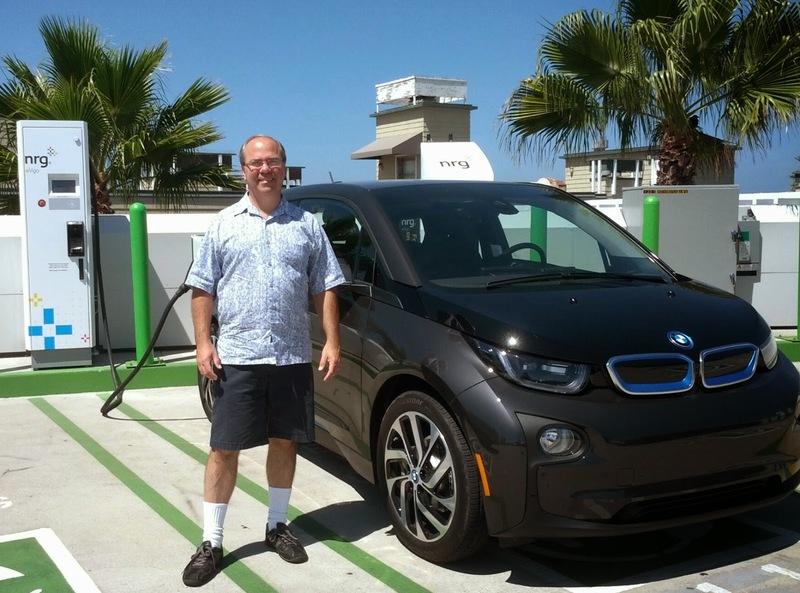 . . Tom over at the blog for BMW i3 posted about my i3 owner's map and was able to get it cross posted on the BMWBLOG for all things BMW. This little map is getting around and it is exciting to see that we are close to getting 500 owner's submitting there location. The i3, in less than a year is now one of the most global EVs around. Excellent! 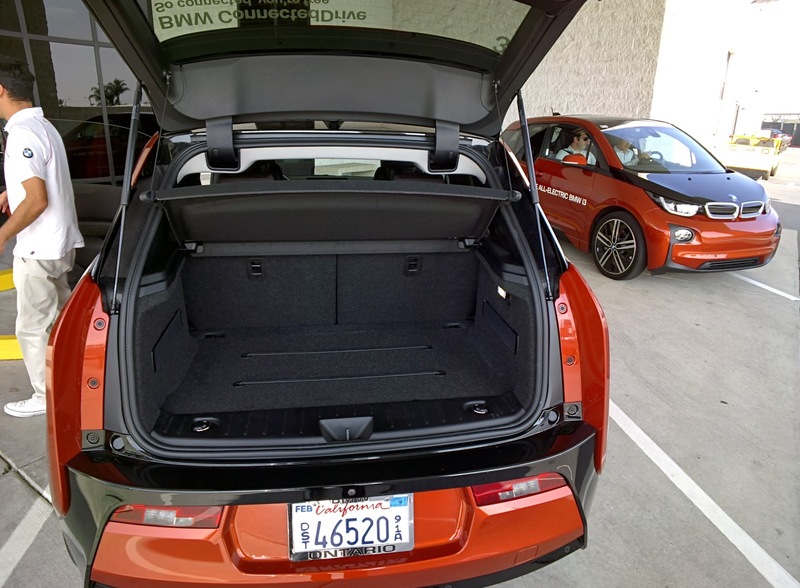 How BMW i3 Active Criuse Control (ACC) Works - Through Google Glass! I was commuting in my BMW i3 the other day and thought Id' try to share the experience of driving with Active Cruise Control (ACC) on. This is the "tractor beam" like feature in the car that allow you to turn over the acceleration and deceleration to the computer in the car. All of these videos were recorded live with Google Glass on the 101 North. The images are a bit hard to read on the i3 displays, but hopefully they give you a feel for what it is like. After I learned to trust it a bit, it is a liberating and actually safer way to drive, especially in stop and go traffic. While these three videos only represent 6 or 7 minutes, I used it in heavy stop and go for over an hour with no incident. I hope you enjoy! I was privileged to be asked to write about my experience with the BMW i3 since I got my car on August 11, 2014. We crazy owners call that being "born electric" and are enthusiastic about our experience. Check out my post over on Tom's blog and let me know what you think. There is a quote I like from the movie, "Amadeus" where Mozart is trying on wig after wig and after seeing three of the samples on he exclaims "Why don't I have three heads!". The technology subject of the scene was the 'wearables' of the 18th century and that advanced wig design was all about fashion and prestige. Not too different from our jeweled device cases or electric cars. On this last point, I am susceptible and in love! 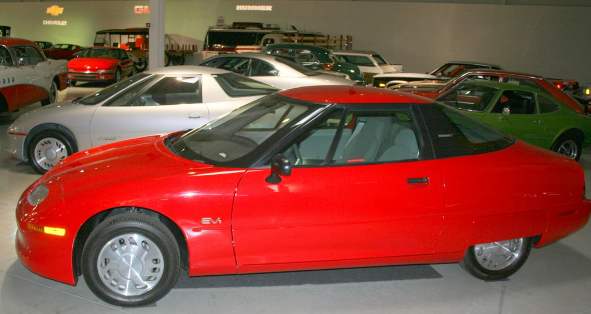 I have wanted an 100% electric car for 20 years, since the EV1 from GM was heralded as the first of many. I remember test driving it and lamenting that the lease was wholly out of range on my salary . . . with kids and a sizable mortgage. Fast forward to 2011 and the 100% electric Nissan LEAF arrives on the scene, but its a wig I just don't like. 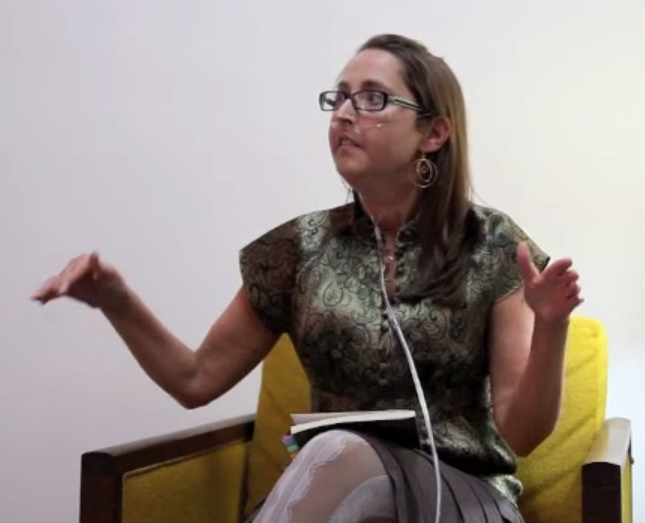 Designed for the family and looking like a weird creature, I just did not have the desire for that technology. I have been a BMW owner since 2000 (with a brief gap in an old Mitsubishi Eclipse while buying a house!) and I needed a car to peak my desire before jumping into the all-electric technology. I knew hybrids were abundant, but to my mind, unless you switch over to an entirely new way of powering your mobility, its just not that interesting. I equate that to personal cloud computing. I write this post on a Chromebook, using no MS software, no local storage, and no save button. When you can't install old technology (like gas in the BMW i3) and you force yourself to save content to the cloud, you work differently and think differently. So my i3 BMW battery electric vehicle (BEV) is on its way from Germany and I have followed the making and shipping of it all the way. Yesterday it made its way through the Panama Canal and with cloud technology I can track the ship real-time on maps and webcams has it threads through that 19th century technological wonder. I know webcams and GPS is not new, but my use of them is purely voyeuristic and born of desire. Since ordering this car, I have communicated with people all over the world via my own little mapping project; learned a great deal about amps, volts, and resistance; and forced myself to use cloud-based image editing tools discovering that they are now quite capable and can replace all of my need for those old ones I have installed on my old Windows laptop. As evidence of that, and evidence of my 21st century impatience, I have followed the car for weeks and it slowly made its way out of the English Channel, across the open Atlantic and pulled into the Panama Canal on the vehicle carrier ship the Metis Leader. I am not normally a stalker, but the combination of 20 years of desire and the ubiquity of information urged me to make screen captures of the various webcams online in the Canal. I made a short video out of them as the ship with my engineering wonder of a car went through the engineering marvel of a transportation route. In the end this is all about transport: electricity moving me on the road, water moving cargo around the world, and technology transporting me to heights of geeky desire I have previously not known! BMW i3 Mapping - Update! I have been compiling an opt-in map for BMW i3 owners and owners-to-be I have "met" on various online forums. I have recently updated the map to include almost 150 people! I created more accuracy by adding specific postal codes so there is a unique dot for everyone. I also thought it might be simpler to have a form to collect new people for the map, so check that out below. If you need a correction, feel free to use the form for that, too. I have not posted here in a while because I have been busy buying an i3! We ordered this one which is currently sitting on a dock in Germany waiting to board a ship to the West Coast! Yep, its true, adopting new technology at the $50k scale is almost a full-time job. That's because serious research is involved and getting to know a whole new community of people online who are in the same cult. After absorbing all kinds of pros and cons and experiences of the very early adopters, I thought I'd give back to the growing community by making a map of BMW i3 owners and owners to be. These are folks I have "met" and interacted with on the BMW i3 Facebook group and the My BMW i3 Forum. I have mapped about 120 people to date! Click around and explore. In big cities, where there are more the one owner, clicking on the dot will only show the first one. If you are an i3 owner, let me know your name, city, & state and I'd be happy to add you! Check it out with a direct link or embedded below. 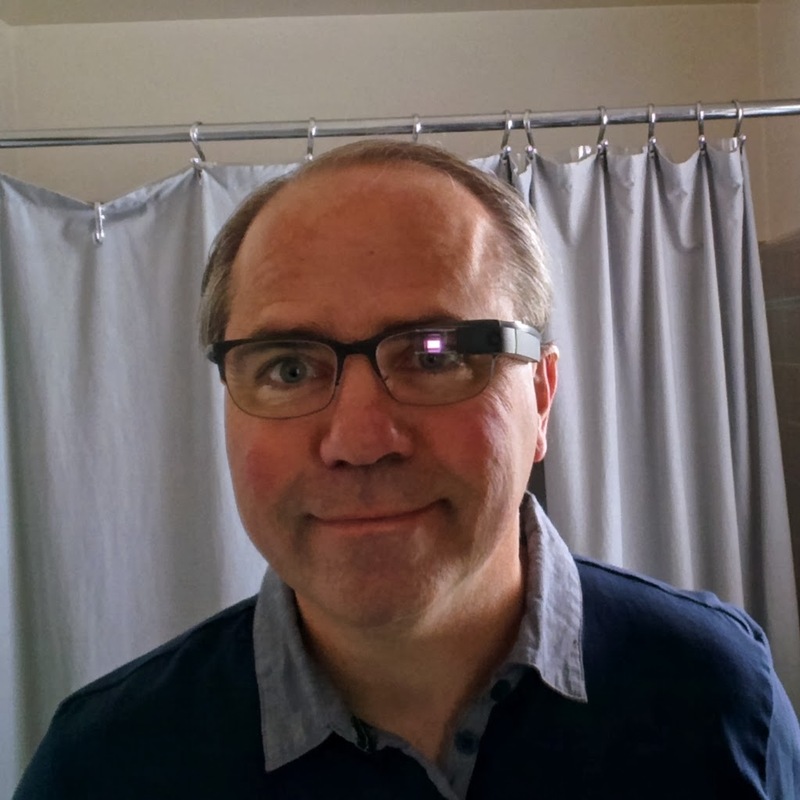 My article, Use Google Glass to Create Enterprise Video: Here's How, has just been published for the May 2014 issue of Streaming Media Magazine. I provide step-by-step instructions and screenshots for creating quick videos with Google Glass and sharing them inside your company on various video management platforms. It is online now and will be in print in a few weeks. Check it out and let me know what you think! After a pause in posting, I find myself at Sonic Foundry's customer conference, Unleash 2014. I have attended for the last 5 years and the conference is a great place to connect with old friends and make new ones. This year, I am nominated for the Enterprise Video Awards in the "Video Maverick" category. It sounds loftier than it is, since one nominates oneself, but it is fun never-the-less! Check out my entry on the World of Webcast blog below. Test Drive: BMW i3 Electric Car With Google Glass! 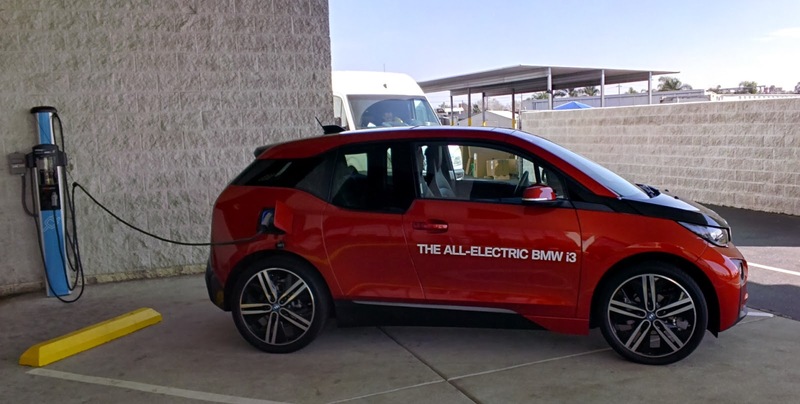 Earlier in the week I got the opportunity to test drive the new all-electric BMW i3 car. Being a Google Glass Explorer, I thought I'd give it a spin via Glass. And hey, driving with Glass in California is OK! 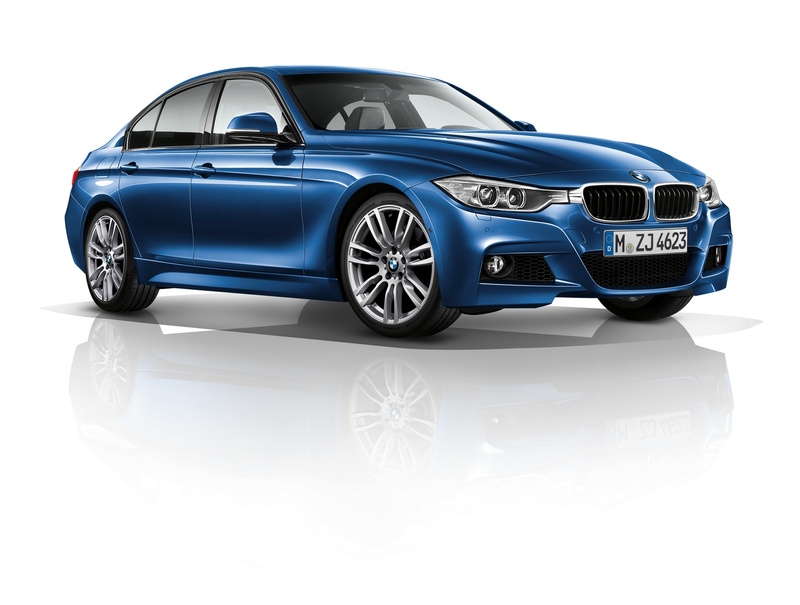 I love the BMW 3 series having owned three of them and currently I drive a 2012 328i. So I am partial to BMW's driving machines, but I must admit the i3 takes a little getting used to one first sight. The hood/bonnet is all but gone and the i3 is taller and shorter than the 3 series. It looks stubby! But when I read about the total redesign, that is is not just a standard BMW powered by electricity but an entirely new platform where nothing is added unless it makes sense, I warmed to the car. There is no hood because there is no engine! It is shorter to reduce weight, but the inside is roomier because they can use space freed up from the transmission and other components needed by a gas-powered car. The seats do not have power adjust because that just draws too much energy. And how often do you adjust your seat anyway? The body is carbon fiber with the fibers coming from actual plants (Kenaf) so the body parts are "glued" together to make for a stronger frame that's light. The tires are skinny, akin to a motorcycle for less drag and friction. The famous BMW "kidney grill" is there, but it is no longer a grill because there is no engine to air cool. While the sales guy was driving us out of the lot, I took this short video using Glass. The most interesting part of the video is the sound, or lack of it. This is one quiet car! Looks and design aside, I was convinced that this was a car of the future when I sat in it and drove. It has a BMW feel, handling well on curves, allowing you to feel the road, and gives a pleasurable driving experience familiar to all BMWs. Since it is electric there are no gears so acceleration is smoother than my 328i and the car can zip around streets and other cars nimbly. The regenerative breaking is aggressive, so you almost never have to use the brake to stop. In fact, I only used it once and that was to test! Pulling into a parking space or up to a stop sign you just decelerate and the car will gracefully come to a standstill. This aspect takes a bit of getting used to as the car feels "sticky" because there is a lot less coasting. On thinking about that, at first is is "odd", but I feel it makes for a better over all driving experience. The change is like the change between old computer applications where you had to save files on purpose or click "OK" to confirm something where as most modern apps just auto save for you and check box settings are simply applied. With the i3 driving is simpler and you can communicate with the road directly. I like the i3 and am considering getting one. For me, the range is fine and the driving is fun. Will it replace my 328i? Well, we are keeping that but getting rid of the older SUV in favor of a car that can carry some home improvement supplies, save some cash on gas, and help be kinder to our Mother Earth. 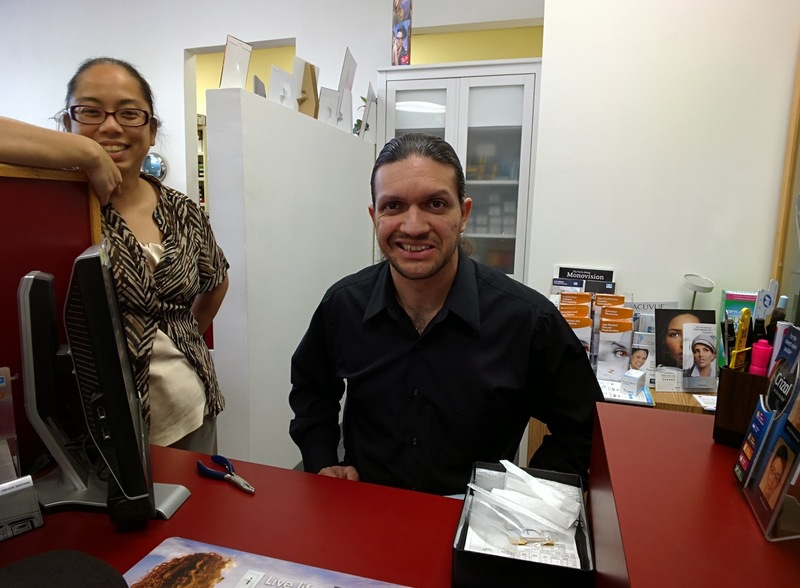 Getting Prescription Lenses for Google Glass - Part 2! 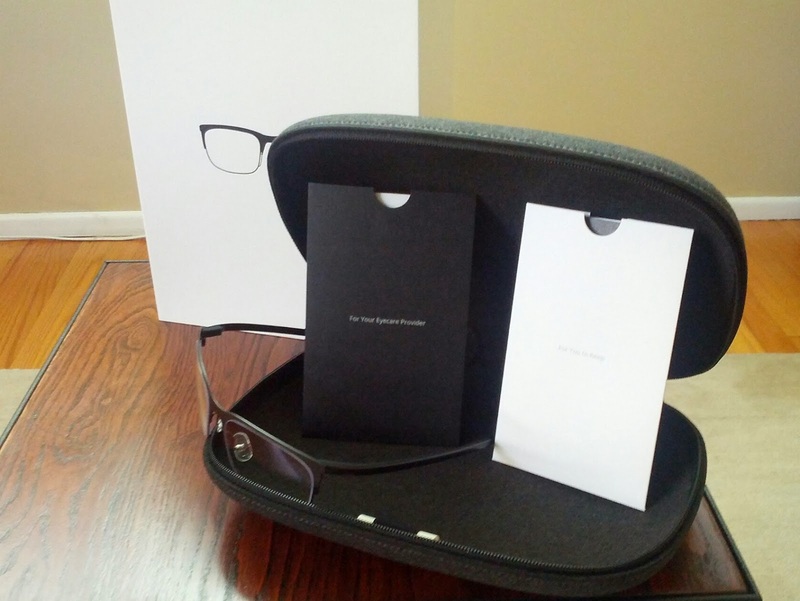 In my previous post, I described ordering the new Google Glass frames for prescription lenses and what the doctor experience was like. This is a follow up to that . . . actually getting and using the frames. I had a lot less questions in just picking up my frames with my new bifocal lenses. The doctor's staff was helpful and curious about them and fitted them to my face just like non-Glass frames. The technicians had to adjust the nose piece/bridge so the prism was properly positioned just above my eye. I am fussy, so they let me attach my Glass to the new frames because I wanted to, but they were fully schooled in how to do it. 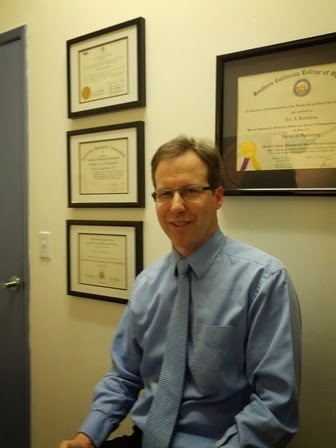 I have to say, if you are in the San Gabriel Valley area of Los Angeles county you should check out Dr. Bettelheim, he and his colleagues at Arrow Vision Center run a great shop for non-Glass and non-Glass vision health. I got the new frames last week, but wanted to use them a bit before I posted again, to see how I liked them. As with all new glasses I have received in my life (glasses wearer since 3rd grade! ), it took a few hours to get used to the slight difference in prescription and frame size, but after that they "disappeared" from my conscious mind like all good glasses should. Having Glass with lenses was great because now they felt more natural and I have worn Glass more as a result. 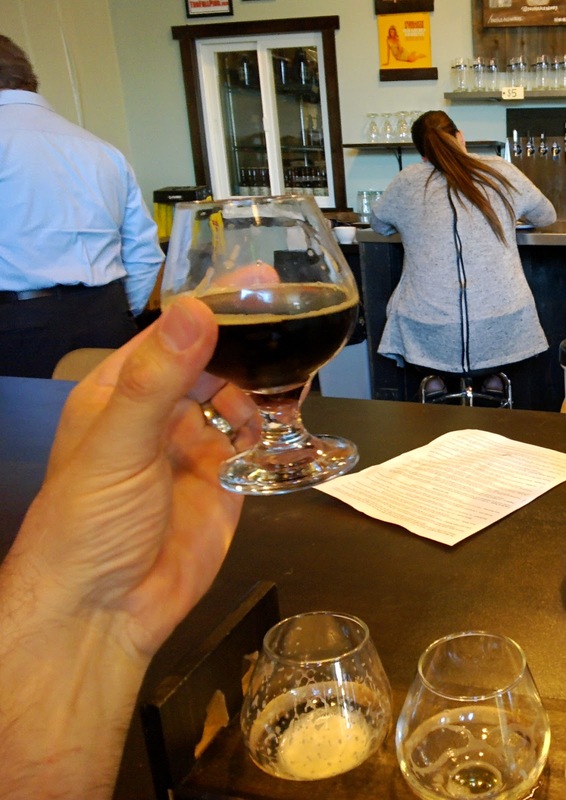 On the US President's Day holiday, I went beer-tasting and had a good time shooting photos and keeping informed without feeling I had this device on my head. It is just my regular glasses, enhanced! Another benefit is the more comfortable fit while bike-riding. I need a helmet riding and being able to wear regular frames + Glass is more natural. If you want to see what it is like, check out the video I made of the Claremont Thompson Creek Trail with Glass. I can ride and see and record with ease. All-in-all the prescriptions frames are the best accessory for Glass and will allow me to use it much more often. Reform Government Surveillance => GO! Along with AOL, Facebook, Google, Facebook, LinkedIn, Twitter, and Yahoo!, I support the national effort to fight back against the NSA mass surveillance of citizens of the US and of the world. Check out http://www.reformgovernmentsurveillance.com/ and join me! This article is a republish of the "Plant of the Month" article I wrote for the February 2011 RSABG volunteer newsletter "Oak Notes"
I am a self-styled “foodie” and as such harbor an interest in all types of spices, herbs, and flavorings. The California Bay is often compared those ubiquitous leaves hidden in the dusty jar in the back of your cupboard that get pulled out Thanksgiving morning. They look similar, but are dark green a longer and narrower (lanceolate). They are aromatic like Bay Laurel, but many times more so! The California Bay leaves have a peppery or medicinal smell and some love that and other hate it. When touring the little kids on the “Sensational Walk” tour, I always invite them to have a sniff and while many crinkle their noses a few recall that sniff as the best part of the tour! 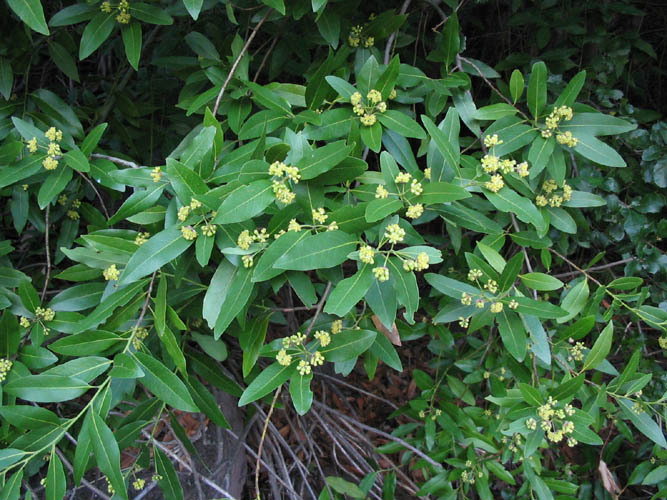 Anyway, in reading more about this wonderful tree, which can be shrubby in drier places and reach 40-60 feet in Riparian areas, I find that besides using the leaves in cooking (only us a quarter of a small leaf in a stew), one can roast the nuts, extract oil, and carve the wood into money. Yes, back in 1933, money did grow on this tree, which is called Myrtlewood by folks in Oregon. The story is complex, so read it in full on realoregongift.com. California Bay has a fruit that looks like a miniature avocado with one large seed with a thin seed coat. I read that you can roast the nut in the shell and eat the nut inside, and even grind the nut into a paste, add sugar and make a form of candy like “chocolate”. Maybe I’ll venture out and try that some day! However, for all the ways to use this plant, maybe the best is just to put this slow grower into a large pot on the patio and enjoy its shiny leaves, small dusty yellow flowers (umbels, which is where it gets is name), and thin shedding bark.